DeSousa’s unstoppable competitive spirit has taken her to Germany to compete in the World Culinary Olympics, the prestigious Chaîne De Rotîsseurs in South Africa, and most recently, Top Chef Canada. Influenced by working at Chez Panisse in California, with Alice Waters at the helm, Connie’s cooking focuses on locally grown food, nose-to-tail butchery and community connection. 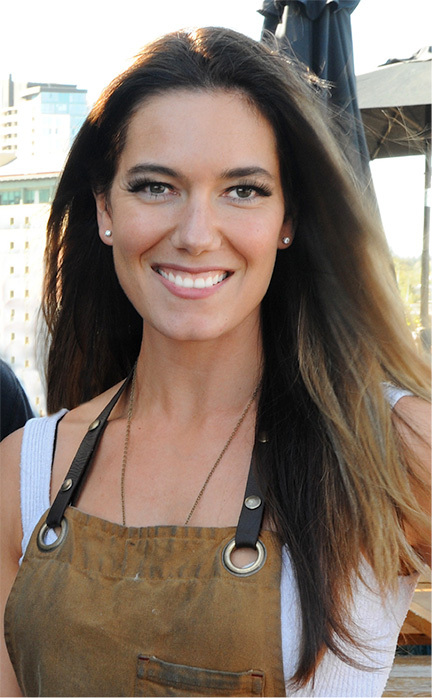 In 2009 she opened the award-winning CHARCUT Roast House in Calgary with her mentor and business partner John Jackson. They now co-own four successful restaurants and a rapidly growing Catering and Events division – including charbar in Calgary’s historic Simmons building, the buzzing Alley Burger walk-thru window and the stunning Rooftop Bar @ Simmons – earning accolades on Canada’s 100 Best Restaurants list and Air Canada’s enRoute Magazine’s Best New Restaurant round-up. DeSousa campaigns for change through her work with Restaurants for Change, Terroir Symposium, Alberta Culinary Tourism Alliance and Mayor Naheed Nenshi’s Enough for All campaign.